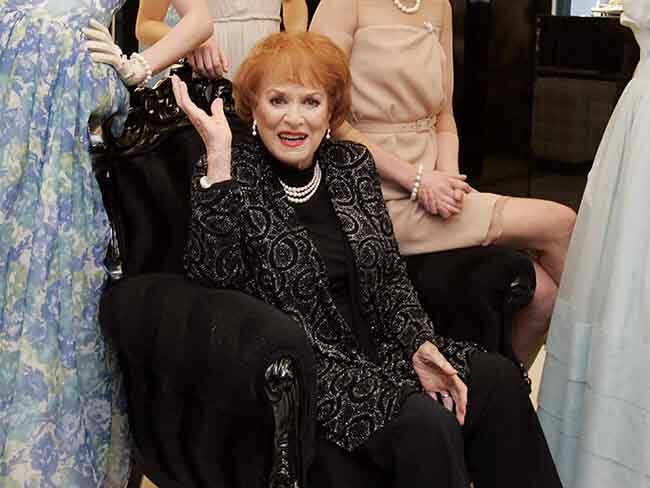 BOISE – Legend and screen icon Maureen O’Hara died today in Idaho surrounded by her friends and family. She was 95 years old. The former resident of St. Croix, once billed as the Queen of Technicolor, will celebrate in the home of her grandson Conor Beau FitzSimons, with whom she lives, looking back of 95 years of life and many years of success. O’Hara, well recognized for her fiery red hair and amazing good looks, was one of St. Croix’s most famous celebrities starring alongside the very best of Hollywood’s leading men; John Wayne, Tyrone Power, Alec Guinness, Paul Henreid, Rex Harrison, Henry Fonda, Anthony Quinn, and Douglas Fairbanks Jr.
O’Hara never let any of them outshine her, however, and is well known for a temperament as fiery as her copper locks, keeping her male counterparts in check. “Some people see me as a former screen siren while others remember me as the dame who gave as good as she got in movies with John Wayne, for example,” O’Hara said. O’Hara has worked with some of the best behind the camera too, starring in films directed by John Ford, Alfred Hitchcock, and Walt Disney. Born in Ranelagh in Dublin city Ireland on August 17, 1920, Maureen O’Hara and her five siblings showed promising dramatic and musical talent from a very young age. Training at the famous Abbey Theatre in her teens, Maureen’s dream was initially to be an opera singer. Working hard to prove her worth as an actress so she wouldn’t be consigned to decorative film roles, Maureen was held in high regard for her classical training in the performing arts and her strong soprano singing voice but it took grit and determination to make sure she was taken seriously. “After I got to Hollywood, I resented that I didn’t get a crack at more dramatic roles because I photographed so beautifully,” she said. She is probably best known, however, for playing the iconic Mary Kate in “The Quiet Man”, the character that truly brought her into Irish acting royalty and just one of the five films in which she starred opposite Western legend John Wayne. She in turn loved her memorable co-star and held real affection for her off-screen friend. Not just an incredibly talented actress and all-round firecracker, Maureen O’Hara also became the first woman ever to manage a scheduled airline. Losing the love of her life, her third husband Captain Charles Blair, in a tragic plane crash in 1978, O’Hara continued to run their commuter airline service Antilles Airboats in St. Croix. Ireland is never far from Maureen’s mind, however, and although she used to spend about half the year in St. Croix, she also used to spend half the year in Ireland. “My heritage has been my grounding, and it has brought me peace,” O’Hara said. On gracing the stage to finally receive an honorary Oscar from the Academy in 2014, she quietened a boisterous crowd by softly singing “Danny Boy”, both a tribute to her roots and showcasing her command of a stage even from a wheelchair at 94 years of age. Retiring in 1973, Maureen’s thoughts turned to Ireland but it wasn’t until 2005 that she officially returned to her summer home in Glengarriff, County Cork to write her autobiography “Tis Herself,” the home where she had spent many happy summers with her husband. She has since returned to Idaho, putting her beloved County Cork home up for sale. She retained a constant link to her country, acting as Grand Marshall of the St. Patrick’s Day parade in New York in 1999. There are not many people who have anything but praise for the feisty Irish leading lady but we feel that Anthony J. F. O’Reilly, CEO of Heinz, summed her up perfectly in his speech at an American Ireland Fund event in 1991. Rest In Peace, Maureen. St. Croix will not forget you.